When you improv piece, you don't have to worry about 1/4," right? wrong. I always use a 1/4" seam. Just like in any piecing, a 1/4" is valuable and important... Think about it like driving a car, Do you want be swerving in and out the yellow and white lines on the road? 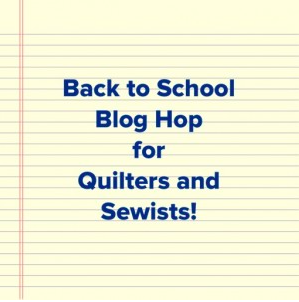 It's the same, sewing improv or regular piecing. 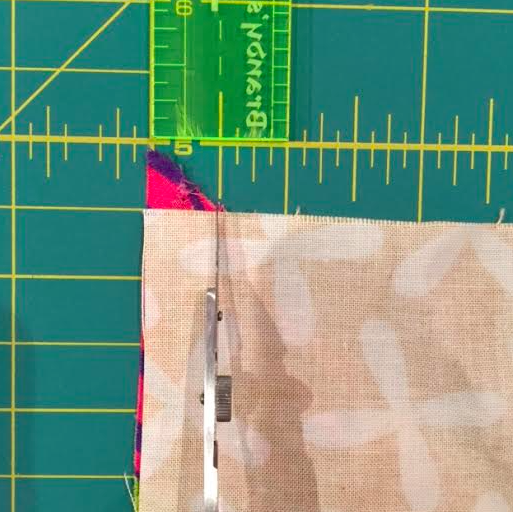 If you want you fabrics to lay flat, learn to sew a 1/4" seam. I have found that many people are not aware of where to place their fabric under there presser foot for a 1/4" seam. So let's find it, shall we? I can place it up to my needle, and see where the 1/4" line appears... It is just shy of the #7 line on machine. So if I sew with my raw edges just showing over the edge of my presser foot, I can sew it, and test it, by measuring it again with the acrylic ruler. Every machine can be slightly different... So it is valuable to know this info. Your points won't match easily. I hear this over and over, "how do you get your points to match?" Sewing a quarter inch seam, will give you amazing results. Another way to look at a 1/4" mark to make your 1/4" piecing correct... When you are piecing, and you have (in the situation above) a square and a diamond... Where do you line it up? Do you lay the point raw edge to raw edge? 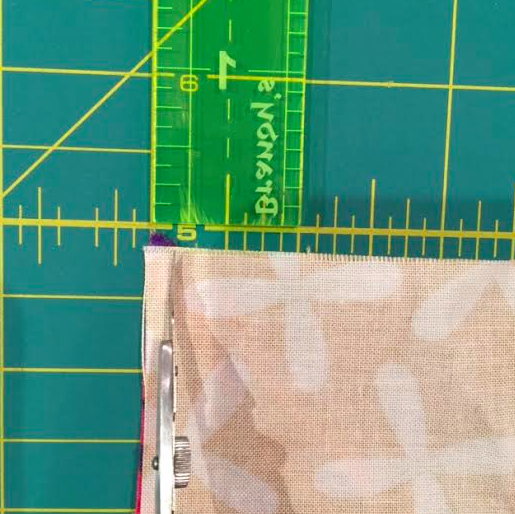 This image shows the fabrics intersecting at 1/2".. that is not the 1/4" seam allowance we want... This sort of seam will make you blocks smaller then the planned finished size.. So! Your best bet for great results in your quilt piecing, is to learn where your 1/4" is on your machine. Have a hard time keeping your fabric under you needle, in the right place? 15 Minutes of Play, right? 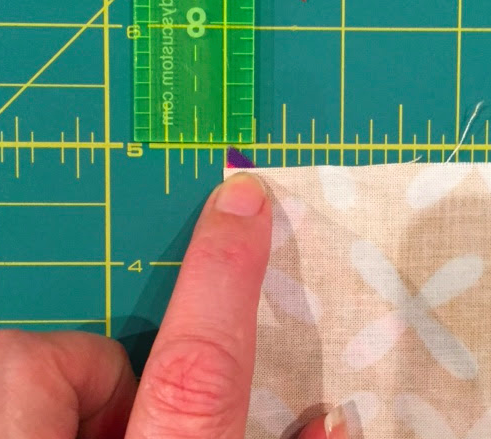 15 Minutes to learn, practice and master your 1/4" inch seam. Don't forget to trim your dog ears... woof! Thanks for the simple, clear photos and the crystal clear explanations. I appreciate that. Thanks. Thanks for sharing that, Victoria! So invaluable. You rock!